“Welcome back,” the barista at one of my fave coffee shops in Los Angeles, Joe & The Juice, said as I grabbed my upteenth espresso with a splash of almond milk of the month. Going to coffee shops and lounges had become my ritual as I worked on content, prepped for awards shows, and grinded it out for hours for Destination Fab. That was until I found out about WeWork…and my coffee shop work game completely changed. At the beginning of this year, I covered Create and Cultivate’s LA conference, and strolled up to a We Work pop-up booth out of curiosity. They gave me the lowdown on the coworking space (one of which was right down the street from where I lived) and I couldn’t wait to try it. As soon as I walked into the We Work at Pacific Design Center in West Hollywood, I started smiling. It was beautiful. There were floor to ceiling windows with sunset views of the hills, a spacious layout, lounge seating…and omg…a free almond milk espresso/latte/coffee machine (my dream). It was everything I had been looking for, and came with a bonus for the win: free delivery of Sweetgreen orders placed before 11 a.m. I decided to start out with a hot desk, which is essentially an unassigned space at a community table, and go from there. It has been months and I haven’t upgraded to a private office yet. I loved – and still love – working right in the middle of a community of small business owners, entrepreneurs, and freelancers. The energy is palpable, people are friendly, and I knock out my workload so much quicker than I did in other settings. 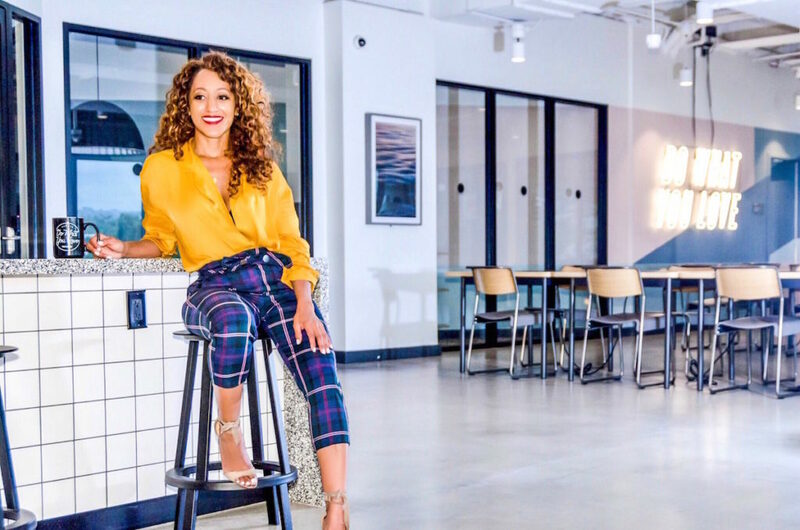 Now that I split my time between Los Angeles and my hometown of Atlanta, I also work out of a WeWork there – my top pick in the city -the 1372 Peachtree location. It had the large windows that I was looking for, along with an espresso machine, work booths near the hot spot desks, and the cozy, community atmosphere I was craving in the city. Plus, the neon spiral WeWork sign with a peach at the center also lured me in. 1. If you don’t work in an office, you will find your haven here. : Stuffy office moment, where? 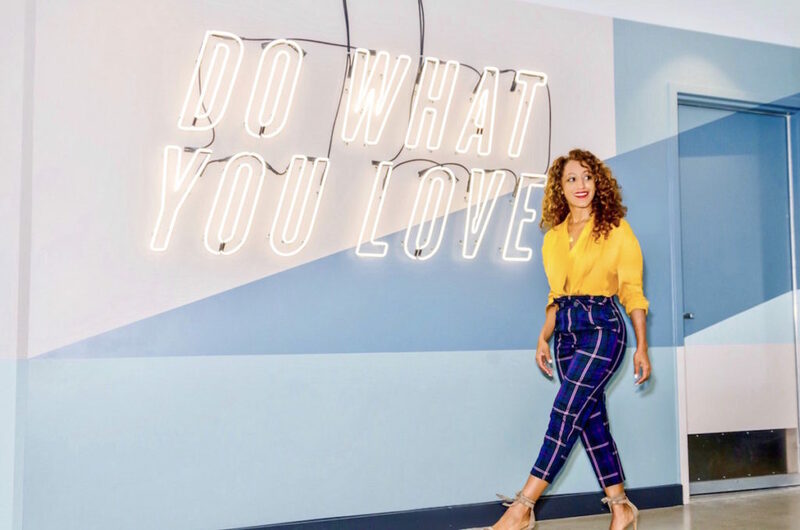 The vibe at WeWork takes the rigidity out of work spaces, and adds a little inspiration to boot with motivational mantras that are sprinkled around the spaces. 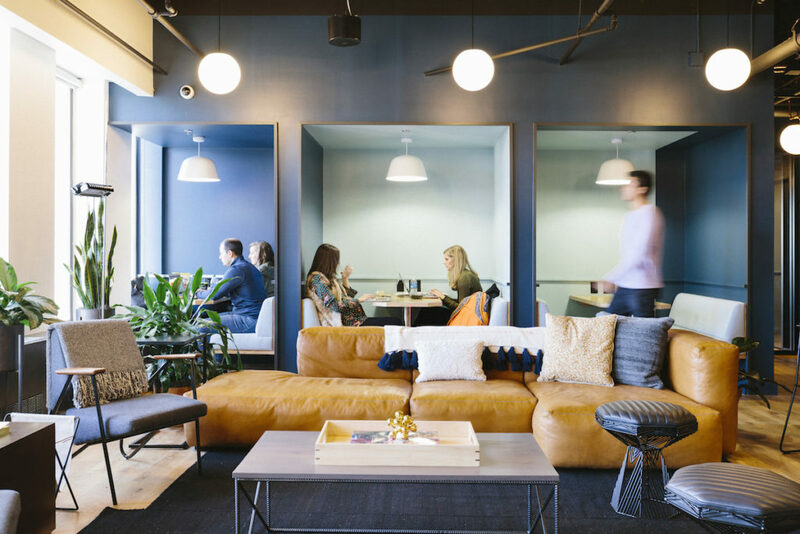 Whether you decide to work at a hot desk or in a private office, you will still feel a sense of community in any location, and every part of it gives off a casual vibe. You can leave your suits at home, and roll into any We Work space in jeans if you want to. There is no dress code. 2. There are four different types of memberships (depending on the location): Prices vary per location, even in the same state, but they are affordable for all that you get with it. Hot desk memberships give you access to the building and an unassigned spot at the community tables. You simply show up and find an open spot at one of the tables. Dedicated desk memberships give you a reserved spot at the community tables. Private office memberships start around $500/month for a 1-person private office and $960 for a 2-person private office. You can rent an office space for as large as 21-50 people at some locations for much more (starting around $9100 a month). The private office membership is great for those who want more privacy, or who are running a small business. Memberships are month to month, so if you want to try a hot desk one month, but find that you need more privacy, you can switch to a private office. You can book the space and location that you want, and pay for it online, right here. In addition to the States, there are locations around the world, including Paris and Madrid. 3. 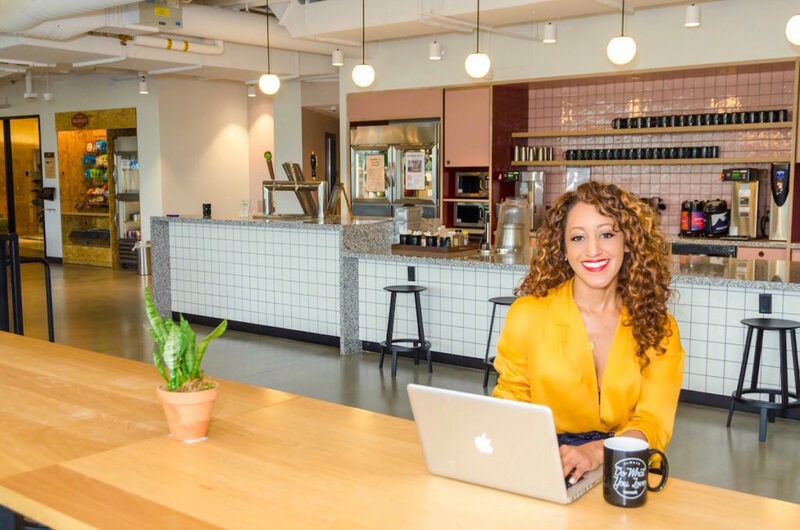 There are not multi-city membership options…yet: Can you buy one hot desk membership and work out of WeWorks across the country and internationally? No. Can you buy a hot desk membership for one location and work out of another in the same city using that membership? Also no. Once you purchase a membership at one location, you are tied to that location. Each membership comes with two credits a month though, and you can use those credits to book a workspace in another location (each hot desk reservation at a different location will cost you one credit, for example). That’s the additional benefit of the month to month payment structure. If you book a space at one location, but want to try a different one, you can do that. You can also use those credits to book out conference rooms, if you have a meeting with a client. If you need more credits a month, you can buy them at $25/credit online. 4. 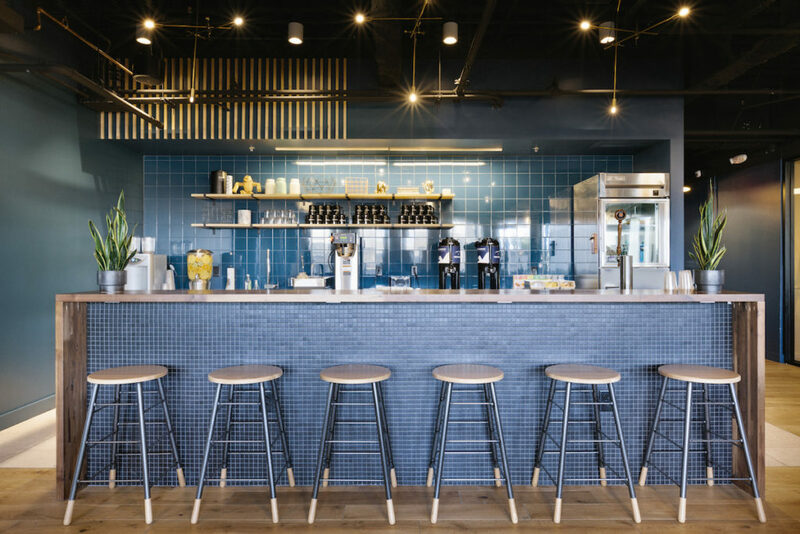 There are great perks: Each WeWork location comes with its own perks that heighten the sense of community. There aren’t espresso machines at every one, but all of them have free coffee and tea, as well as free kombucha and/or beer on tap, cheap snacks, and a small selection of refrigerated meals available for purchase too. What I love most about the perks at WeWork are the pop ups. There are always surprise vendors on hand serving up free food, sweet treats, and cocktails for We Workers, and there are also informative discussions, networking events, and more every week in the community spaces. For example, King of Pops had a free popsicle cart one day at 1372 Peachtree, and at Pacific Design Center vendors rolled out full meals – buffets topped with chicken, veggies, roasted potatoes and more. 5. 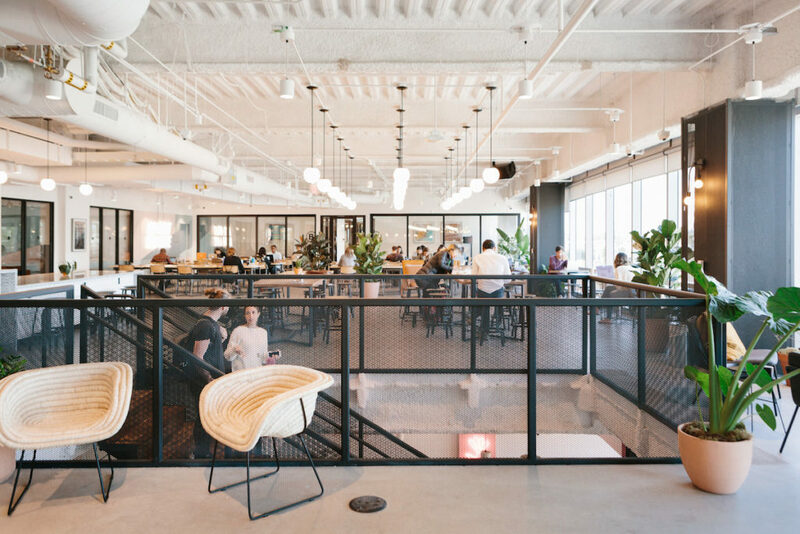 Deciding on your WeWork location: Do your research, schedule tours, and check out the spaces before deciding on the WeWork that’s best for you. 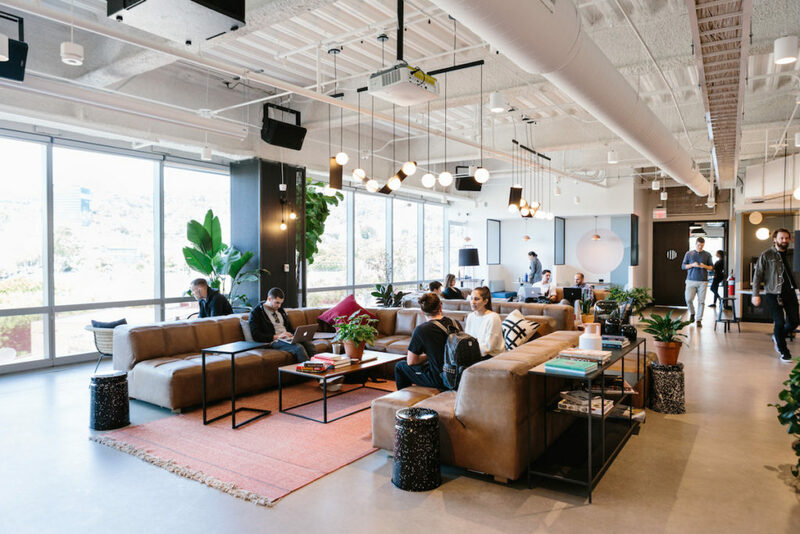 WeWork Pacific Design Center was the best fit for me, because of the layout, perks, and location, and the same was true for 1372 Peachtree. There are great locations in every city that has a WeWork. If you have more questions about working at WeWork, please leave it in the comments below or e-mail us at info@destinationfab.com.